Once upon a time, the best form of mouse repellent was a cat that was good at catching mice! Now, there are humane traps and plenty of different types of rodent repellent materials to invest in. They’ll keep the mice from coming in at all (and will allow your cat to enjoy a cat nap!). Many pest repellent materials are chemical based. These can be harmful to your family and pets. Of course, a chemical-free mouse and pest repellent is the best option because it doesn’t pose the high risks to your family and home as traditional pest control. There are a lot of different types of mouse repellent on the market. A quick Google search will turn up scores of different products that you can use to encourage mice to stay out of your home. Of course, sorting through all of these natural products can feel like a chore. Peppermint oil is said to work well at repelling mice. Some say mice can’t stand the smell of the stuff and by placing a few cotton balls soaked in the peppermint extract / oil in problem areas it can keep them out of your home. The problem with this method is that the cotton balls need to be replaced frequently because they dry out and the smell quickly fades. If you are not careful, your peppermint mouse repellent could end up being used for a mouse nest instead! Some home owners find that by placing the “stinkiest” dryer sheets they can find in the places that they’ve seen mice before, they discourage the mice from coming back. The problem is that, like the natural oils, these sheets eventually lose their scents and can be used by the mice as nesting material. Worse, these lightweight sheets can easily be avoided or moved altogether. There are a lot of environmentally friendly mouse repellent products on the market. Sure – using oils and fabric softener sounds cheap, but the price of replacing them can quickly add up. Why not just buy a product that was created specifically for repelling mice? Fresh Cab lasts longer than other household-based products you might be thinking of trying. It’s biodegradable and it is safe to use around kids and pets. 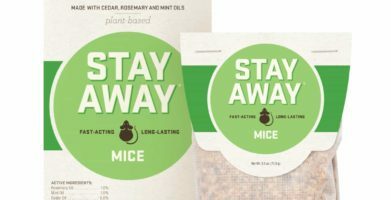 Technology and science have come a long way in recent years and experts are now able to create naturally designed rodent repellent products that don’t pose a threat to people, pets, or the planet. Why not take advantage of them? Many pest repellent materials are chemical based. These can be harmful to your family and pets. 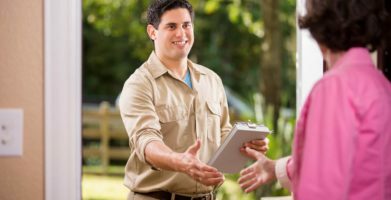 Of course, a chemical-free mouse and pest repellent is the best option because it doesn't pose the high risks to your family and home as traditional pest control. There are a lot of different types of mouse repellent on the market. A quick Google search will turn up scores of different products that you can use to encourage mice to stay out of your home. Of course, sorting through all of these natural products can feel like a chore. Peppermint oil is said to work well at repelling mice. Some say mice can't stand the smell of the stuff and by placing a few cotton balls soaked in the peppermint extract / oil in problem areas it can keep them out of your home. Some home owners find that by placing the "stinkiest" dryer sheets they can find in the places that they've seen mice before, they discourage the mice from coming back. There are a lot of environmentally friendly mouse repellent products on the market. Sure – using oils and fabric softener sounds cheap, but the price of replacing them can quickly add up. Why not just buy a product that was created specifically for repelling mice? Fresh Cab lasts longer than other household-based products you might be thinking of trying. It's biodegradable and it is safe to use around kids and pets. Technology and science have come a long way in recent years and experts are now able to create naturally designed rodent repellent products that don't pose a threat to people, pets, or the planet. Why not take advantage of them? string(64) "Discover the Best Natural Mouse Repellent Methods and Save Money"